Synopsis: A schoolteacher and his pupils visit Paris where they outwit a gang of crooks. Good Morning, Boys was Will Hays’ (Oh, Mr. Porter!) first outing as the trouble-prone Benjamin Twist (his other appearances were in Hey! Hey! USA (1938) and Convict 99 (1939)), and he’s joined here by frequent sidekick Graham Moffatt as Albert, chief bookie of the school at which Twist is headmaster. While Hay is as accomplished as ever and Moffatt gives solid support, they’re just not the same without screechy old Moore Marriott in attendance and the Good Morning, Boys suffers as a result — better to have neither, it seems, than only one. The story revolves around the attempts of ex-Lancer Col. Willoughby-Gore (Peter Gawthorne — Kind Hearts and Coronets) to oust Twist from his position and a subsequent trip to France where the school group get involved in a plot to steal the Mona Lisa. Hay was normally at his best playing the slightly pathetic figure who believes he occupies a position of authority but is really just a pawn of those he seeks to control, but for some reason things don’t quite jell in this one. 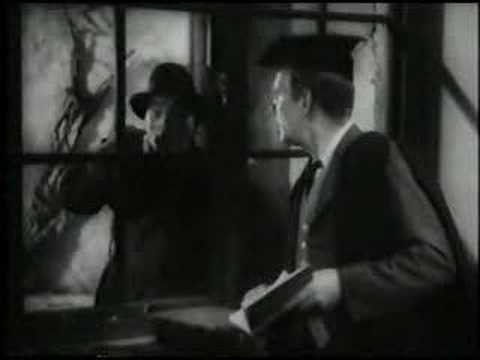 Perhaps it’s the unimaginative plot, or maybe it’s the fact that both Hays’ nemeses (Willoughby-Gore and escaped convict Arty Jones, played by Mark Daly) don’t really pose much of a threat. An extremely young Charles Hawtry (Carry on Cabby, Carry on Spying) makes a brief appearance as a posh swot at an exam, and Hays’ son Will Hay Jr. also makes an appearance as Clarence. 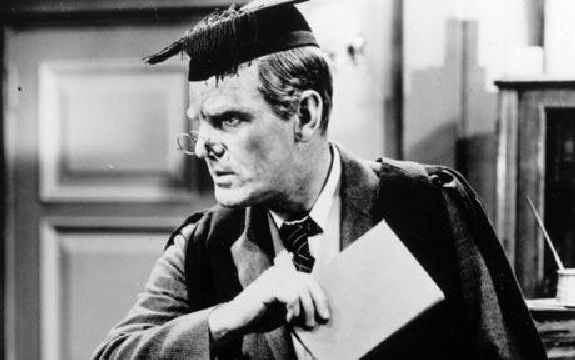 Fans of Will Hay will find some enjoyment in the great man’s typically first-class performance but others might do well to seek out Oh, Mr. Porter! or Convict 99 as their introduction to his work.